7Hues Magazine is looking for a talented writer to contribute to our magazine and blog which covers beauty, art, hair, nightlife, music, fashion, culinary and other “in-the-know” happenings. If you’re obsessed with lifestyle and writing about lifestyle, then this unpaid position will allow you to grow your portfolio and professional recognition in your field. Perks include gaining access to exclusive events, festivals, and restaurants, music shows, and more. There will be a considerable amount of writing in this position as you will be expected to write about events as they happen and be the voice of the lifestyle and nightlife scene. Gathers and verifies factual information and authentic detail through interview, observation and research. Translates technical or bureaucratic lingo into clear, concise and reader-friendly language. Outlines and writes attention grabbing magazine stories as assigned in a factual, timely manner according to style, standards and deadlines established by the editor. Schedules and coordinates photo shoots to accentuate or tell a story. Takes and uploads basic photographs as necessary. 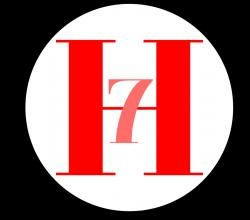 Participates in brainstorming sessions for covers, story ideas and design for 7Hues Magazine. Organizes material and determine emphasis. Perform the data entry of various calendar listings, rewrites press releases into magazine style and compiles basic briefs, when needed. Scans and /or photocopies documents, correspondence and photos. Handles some basic pagination of assigned features, if needed. Supports the magazine in tasks such as coordinating events and maintaining filing systems. Other duties will be assigned as needed. Education/Skill/Experience Requirements: Bachelor’s degree or equivalent and six months to one year related experience either in college journalism or outside experience with a magazine, newspaper or online publisher. Must be computer proficient and familiar with online databases and other research tools and proficient in Microsoft Office Suite. Must be available to work nights and weekends as requested. Must be able to demonstrate creativity and ability to work independently and ability to multi-task in a high-energy, fast-paced environment. Fosters a culture of collaboration and contributes to a healthy team dynamic. Language Skills: Excellent verbal and written communication skills including proficient in the English language. Ability to write for publication. Ability to effectively present information and respond to questions from groups of managers, customers and the general public. Travel Requirements: If required to transport from job to job, employee will provide own transportation to job site. When personal vehicle is used to transport to job site, VMM will reimburse the employee on the actual mileage of utilization based on the rate set by VMM at that time. Employee will act in a responsible way in the operation of their personal vehicle by complying with state laws in the operation of any motor vehicle including providing personal insurance on their own vehicle. VMM is not responsible for providing personal auto insurance or any loss or expense that may result in the use of the personal vehicle. Employee must use the proper restraints when operating their personal or a company vehicle.